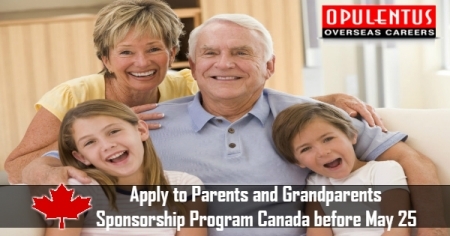 The beneficiary Candidates of Canada’s Parents and Grandparents Sponsorship Program can submit their applications until Friday, May 25th. The expression of interest window was opened on from January 2nd and closed on February 1st. All the sponsors in received the notification in this matter in the week ending March 23rd. They also received 60 days for submitting the completed application for sponsoring their parents/grandparents to reach Canada. Furthermore there were a few problems in the new lottery system last year. IRCC officials decided to conduct a second draw in the year in case there were less than 10,000 applications. There was a drop-off rate in the invited applicants and the people who really submitted applications. This was surprising for immigration officials in 2017 and was also criticized. There were many email Complaints to Immigration Minister which accused the government of an unfair policy regarding the people who intended to bring their relatives to Canada. For the present time, IRCC added some questions to the form and tried to stop sponsors from entering who failed to meet the requirements. This change has come after 100,000 people joined the lottery process in 2017. After holding the first draw the authorities did not achieve the target of 10,000 applications. Finally the second draw was held in September 2017. IRCC made a change in the system and took measures to make it fair. In the past, an application window was open in January and only the processing of the first 10,000 applications got the priority. Subsequently there were couriers lining up at processing centers and all the applicants needed the assistance of a lawyer. The announcement regarding this change was not made until December 2016. In the meantime several potential sponsors had prepared the applications already. They had thought that the old system will continue. Thus the new system was opposed by an online petition and there were several complaints where the people wanted the reinstatement the old method. But IRCC is continuing with the lottery, and the Immigration Minister insists that it is a good way to select applicants and sponsors. These are the enhanced criteria which a permanent resident or a citizen of Canada has to meet for qualifying to sponsor parents and grandparents. They are apart from the general requirements for sponsorship. Canada child tax benefit received in the Income Tax Act. Parents and grandparents of qualified applicants, who fail to meet the threshold of annual application intake, must apply to get temporary admission to Canada. Parents and grandparents of citizens and permanent residents in Canada who wish to get a temporary residence for visiting their relatives must apply for Super Visas.